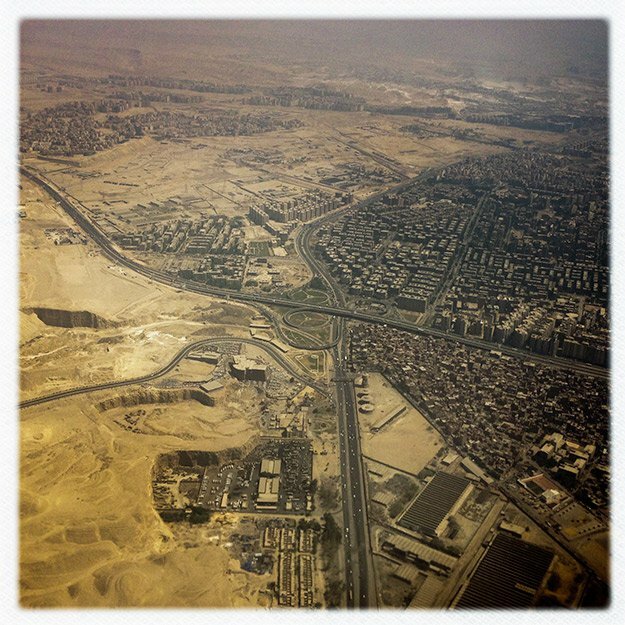 As his plane descended into Cairo, photographer Michael Christopher Brown thought of video games. 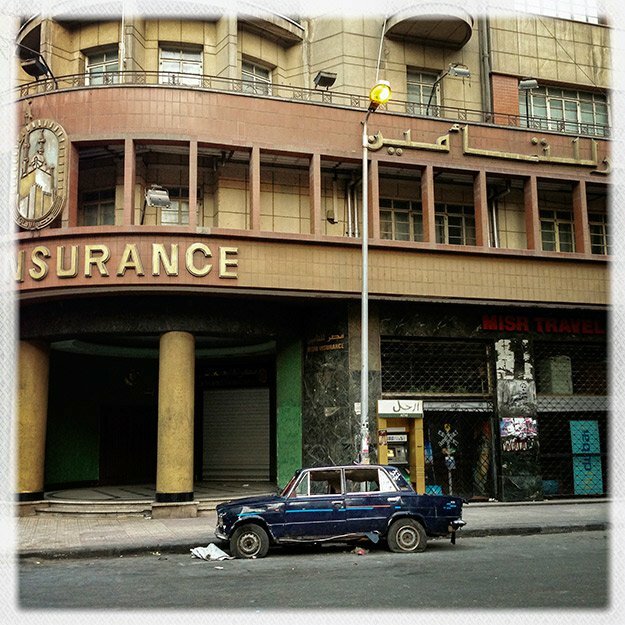 The dense grid of the city’s streets, packed in between the green Nile and arid desert—it looked to him a little like a futuristic landscape conjured from software code. “There was not any evidence of fighting from the air,” he says, though he knew that it was down there, and that it was very real. 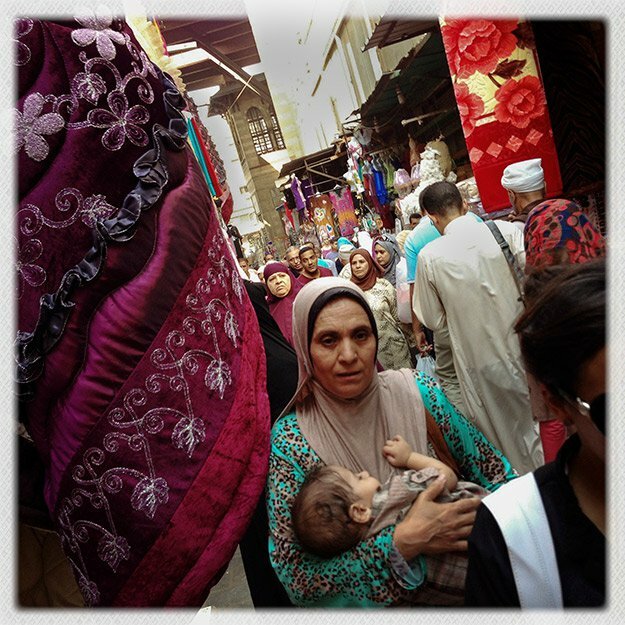 Shoppers amid souk stalls in the Islamic quarter. 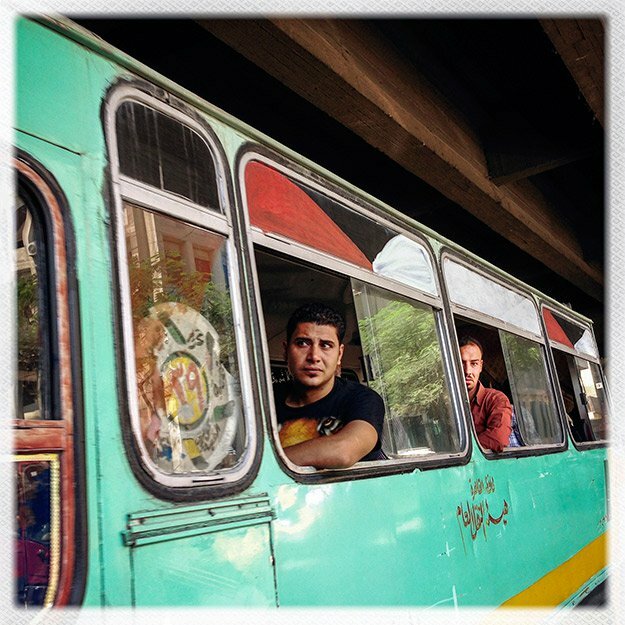 Wary bus riders near Ramses Square, a scene of recent clashes. Visitors leaving the pyramids at Giza. 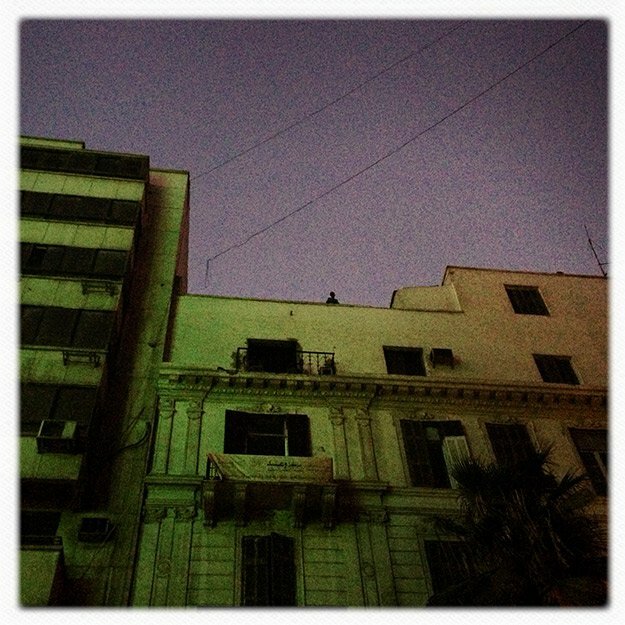 One in eight Egyptians makes his living on tourism, which has dropped sharply during the unrest. 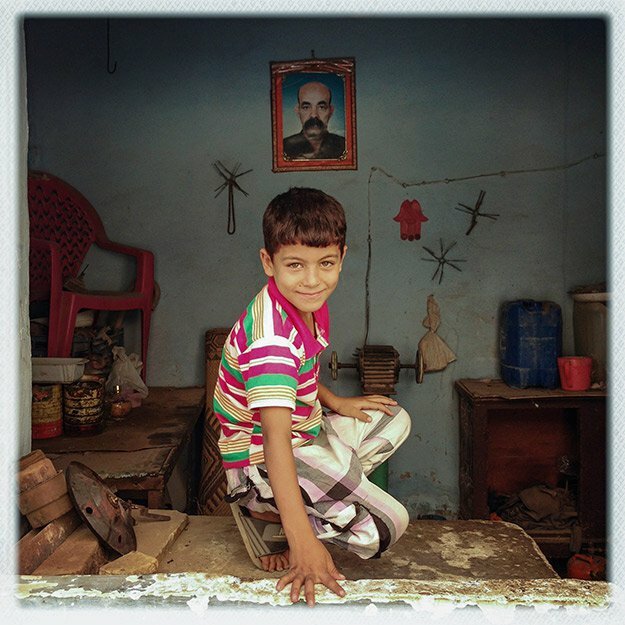 A boy poses in a Giza grinding shop. 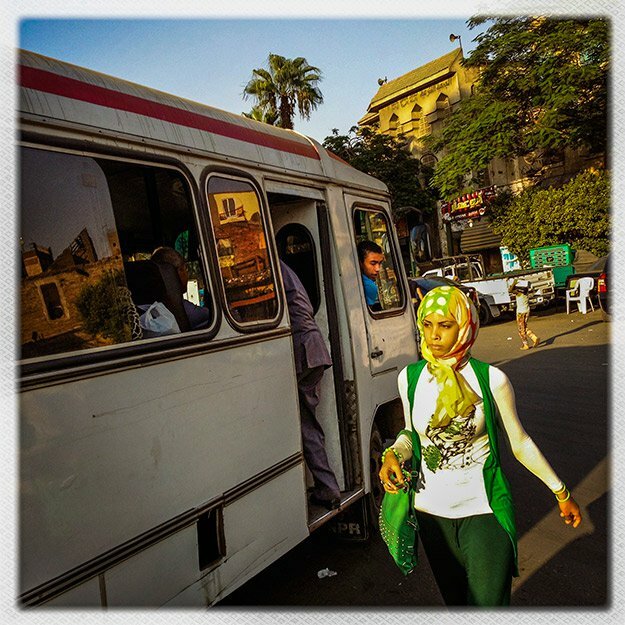 Cairo commuting, the modern way. 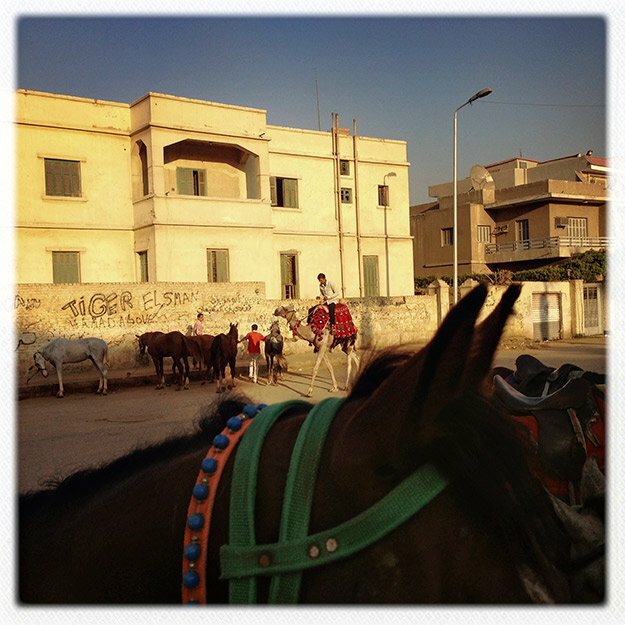 Cairo commuting, by ancient means. 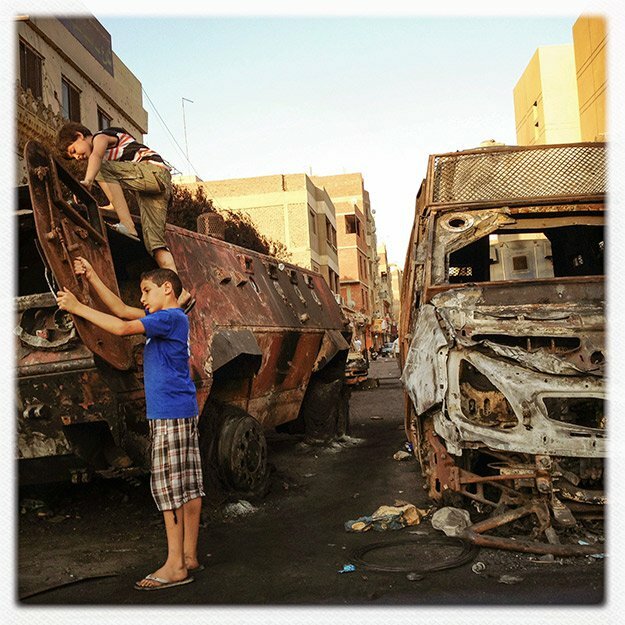 Boys play on burned-out armored personnel carriers in Kerdasa, a Muslim Brotherhood stronghold on the outskirts of the capital. 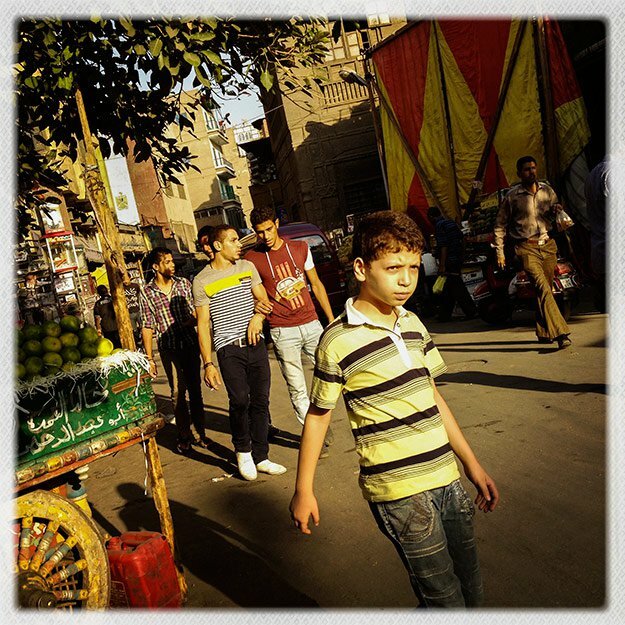 Young men departing the Islamic quarter. A former Muslim Brotherhood member, bearing his bullet and knife scars from bygone fighting. 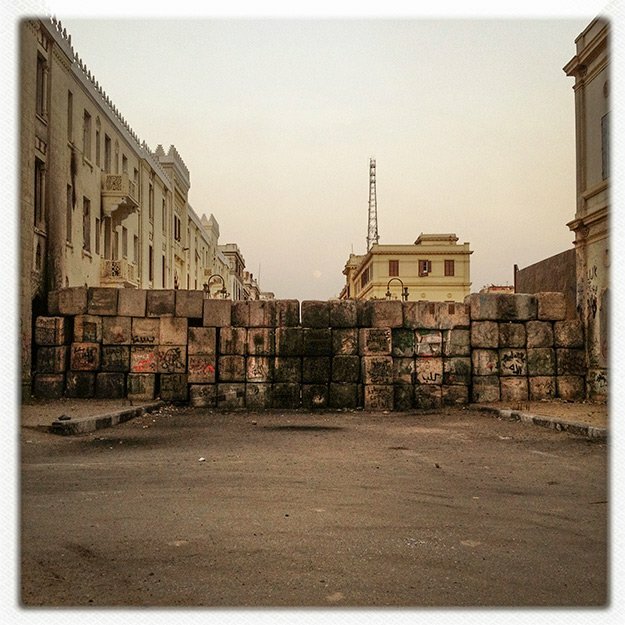 Barricades outside Tahrir Square, where such measures are coming to feel like permanent fixtures.